With the PGA Tour's first Major tournament, the Masters, just a little over two weeks ahead, here is a quick look at the Aussie golfers who are qualified for play at Augusta national at this moment. There are 18 categories that can earn a player the right to play in the Masters. It is quite a list and some players qualify in multiple categories. The top category for inclusion in the Masters is having won previously. Wide range of golf betting odds can be found at Sportsbet along with free bets and promotions. 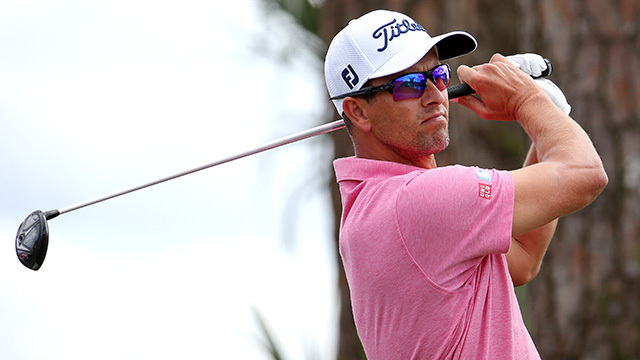 Adam Scott is in that category, courtesy of his win in 2013. He is also el-igible in Category 11, which is comprised of the first 12 players in last year's tournament. It was the 16th time that he played in the Masters, but a disappointing first round score of 75 removed him from conten-tion. He wound up tied ninth. The other category is for being inside the top 50 in the Official World Golf Ranking for the previous calendar year, where he wound up in the 22nd position. Leishman qualifies for the 2018 Masters in three categories. He is part of a group of 15 that are in Category 15 as Winners of non-opposite PGA Tour events from the previous Masters to the current Masters. That tongue-twisting distinction means that Leishman won a tournament following last year's Masters that was not held concurrently with one of the special events on the PGA Tour. Leishman won the 2017 Arnold Palmer Invitational and the 2017 BMW Championship, a tournament that is part of the season ending FedEx Cup Playoffs. Leishman is also in for Category 16, Qualifiers for the season-ending Tour Championship. Finally, Leishman gets in under Category 17 for finishing in the top 50 in the Official rankings. Like Scott, Leishman has scaled back his playing a bit, appearing in eight tournaments. His best finish was second in the CJ Cup. He has two other top-10 results and has missed only one cut. Ladbrokes has his quote at $41. Day is in the tournament under the most categories. His first is Category 4, as a winner of the US PGA Championship, which carries a five-year exemption for the Masters. He won in 2015. Day also is in courtesy of Category 5, Winners of the Players Champion-ship. That was in 2016, which carries with it a three-year exemption. He is in Categories 16, the same as Leishman and Category 17, which in-cludes both Leishman and Scott. He won the Farmers Insurance Open in 2018 and he tied for second in the AT & T Pebble Beach Pro Am, so he seems to be once again focusing on golf after dealing with family issues last year. Day has played only four times in the current PGA Tour season, but he has missed no cuts and he has finished no worse than 11th, so he is obviously the Aussie that, statistically, has the best chance in the 2018 Masters. Ladbrokes has Day priced at $15, behind four of the other top golfers in the world, Dustin Johnson, Justin Thomas, Tiger Woods and Rory McIllroy.